as well as a surrendering of my "professional Instagram" laurels. Nobody who follows an account for pretty cakes is going to stick around for avocado on fake toast. I also didn't want to do a Whole 30 challenge because I hate New Year's resolutions and I hate being typical and I didn't want anybody to think that A) I was making a New Year's resolution or B) that I'm typical. Despite both concerns I am here on Day One of 2018 and Day 1 of my first Whole 30 and I'm feeling...not as hungry as I thought I would. you spend a lot of time in the kitchen. A lot. Even though it's a holiday and I was off work and able to devote all that time in the kitchen, I am already trying to accurately gauge what that'll look like in a workday situation and how I'll have to compensate by waking up earlier. you go through a shocking lot of produce. I could have guessed this, but I wasn't quite prepared for how soon my little arsenal of fruits and veggies started to dwindle. you spend a lot of money. Meal-planning for the month and then shopping for most of it means that you're going to spend an uncomfortable amount of money the first go. This will be the most money (presumably) that you spend the entire month, but it's still shocking. it's a bad thing to do in January. #1 because people think it's one of those awful New Year's resolutions we talked about #2 because produce is sub-par and expensive #3 because it's freezing and you just want to eat carbs. it's a good thing to do in January. #1 you don't miss ice cream. #2 you can pack snacks and meals and groceries and whatever and use the trunk of your car like an icebox. 15 degree weather means your trunk is probably about the temperature of your freezer. Careful with delicate herbs and greens! 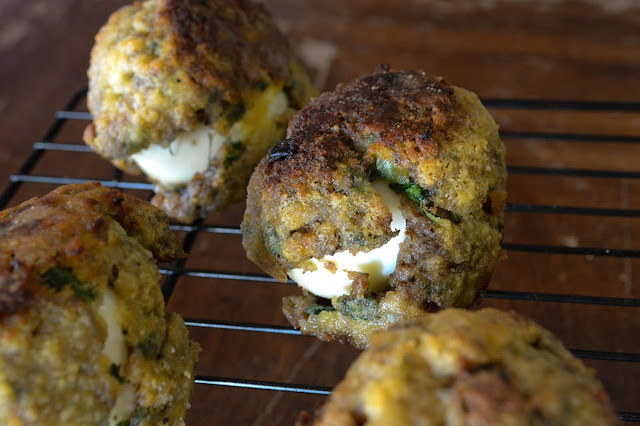 "dinosaur eggs" - based off this recipe from the archives. Also, did you know that mayonnaise can be made out of a spritz of lemon juice, a couple egg yolks, and olive oil? Straight up. It's the weirdest, most alien thing and I sense a plethora of aioli combinations coming up for my naked burgers this month. 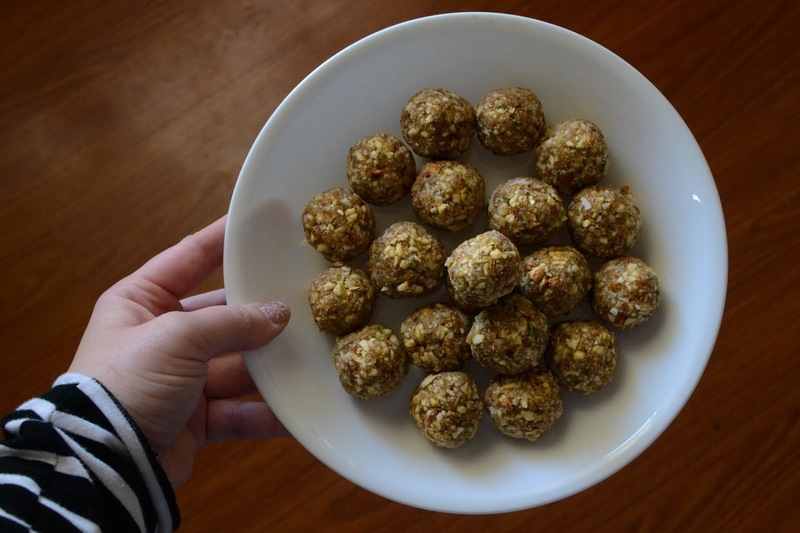 In celebration of Probably Not Going Hungry, I've got a recipe for you! 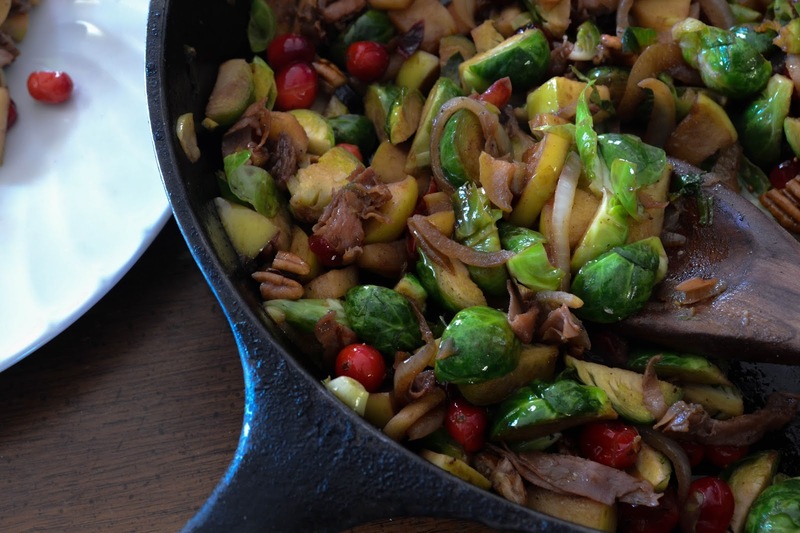 Brussels sprouts, prosciutto, apples, and onions with a scattering of pecans and fresh cranberries. It's something I love to make, though I usually toss in blue cheese crumbles. Crispy, golden, partly tangy, partly sweet with the steady anchoring of the prosciutto playing Daddy in the background...it's like the best of all the little flavor worlds. I literally wait till Brussels sprouts season so I can make these and it's amazing and it's here for you. XD Cheers, guys! Let the Non-Hunger continue. In a large cast iron skillet saute prosciutto and onions. Add in olive oil, then add apples, Brussels sprouts, cranberries, and pecans. Cook (occasionally stirring) till Brussels sprouts are tender. Drizzle balsamic vinegar over top the veggies during the last several minutes of cooking, then season with salt and pepper to taste, then serve immediately!